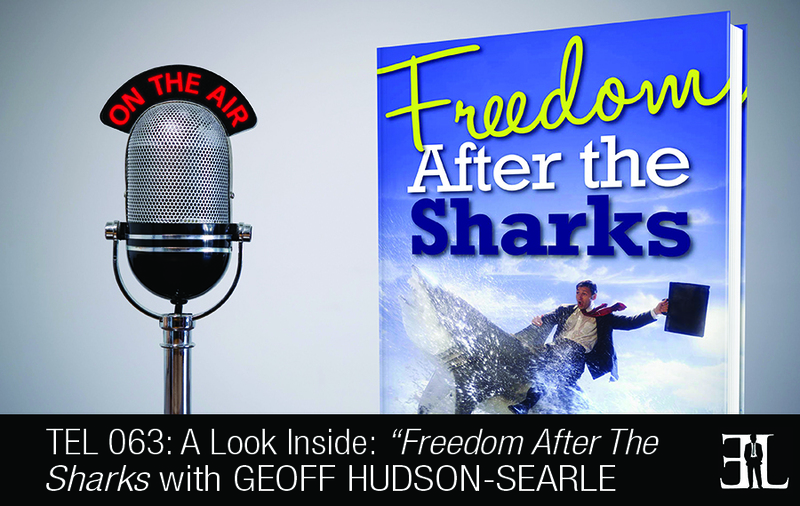 In this episode, Geoff Hudson-Searle shares his book Freedom After The Sharks where he helps you make dreams become reality and shows you how to be the master of that journey. In his book Hudson-Searle takes you on his life’s journey after working in 160 countries to helping fortune 100 companies and starting his career into entrepreneurship. His goal is to show the truths, trials, and tribulations he went through when going into business and launching a company. This book is perfect for entrepreneurs who learn what it takes to succeed in life by following the experiences of other entrepreneurs who have struggled and made it to the top. There has never been a book that has been open and transparent to exactly the truth of what it takes to actually continue the journey. I’ve tried to talk about the failures and adversities in the journey. I suggest the reader read through the whole book. I would want the reader to walk away with determination to never, never give up on the dream. The dream becomes reality and you are the master of that journey. The first chapter is called The Child is Born and that’s all about coming into the world for the first time. This chapter talks about the tribulations as a child and the problems that some children have in their life. From there it moves on to talk about the first love in my life and the frustrations wrapped around that. I talk about the start of my dream of going into business and what I wanted to achieve and how I wanted to achieve it both on the national and international scale. I talk about some of the complexities of some of the roles that I’ve had both in middle and senior management and also on the board of directors. I then move into finding and launching a company for the very first time. I explain what my inspiration, vision and set of values were that I wanted to create. I turned all of this into a plan and talk about the questions I had to ask myself along with the framework and the discoveries. Going out into the market for the first time you might find that sometimes the market doesn’t receive you in the way you expected. I show you have to overcome these problems and where to go from there. I take you through the whole process and also my failures that I encountered along the way. Finally I talk about the transition both working nationally and internationally. And it then finds a place of inspiration and truth. This is a read about openness and truthfulness that certainly isn’t one to be missed. My difficult upbringing gave me the drive to succeed in my business career. I’ve worked in 160 different countries worldwide delivering very large programs and initiatives for most of the large corporate 100 before launching into my business and entrepreneurial career. The first inspiration is that you never really understand exactly how strong you are as an entrepreneur until you need the strength. I wanted to be able to convey to my readers to never give up and if you have the determination you can absolutely achieve the dream. I also wouldn’t have been able to write this book if it wasn’t for my late grandmother and grandfather because they were a deeply moving part of the inspiration and drive behind the book.